Dice, Doubloons and Random Musings: Start Your Engines! 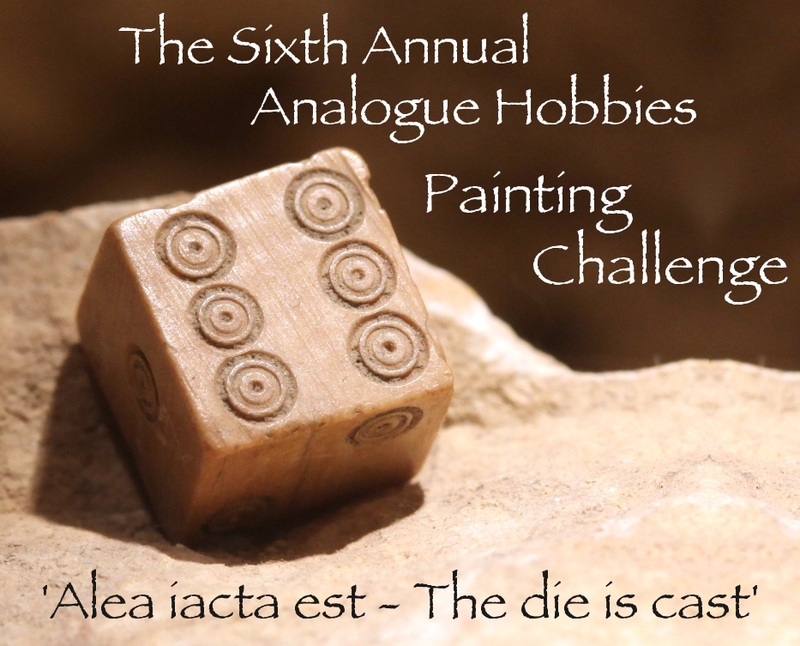 The Sixth Annual Analogue Hobbies Painting Challenge has begun. Between now and March 20th, everything I paint will be uploaded to the Painting Challenge blog for review and judgment a few days before it appears in its finished form here; I may still post some WIP shots here as I go. I've set myself the fairly humble goal of 400 points, which would equal 80 28mm figures on foot assembled, painted and based. I have something like 40 figures already assembled and primed. I'm taking my time and working slowly but steadily; I've got basecoats drying on a pair of figures right now that I'd like to get as close to completed as possible today to start me off. However, an interesting complication: I have been asked to provide a short story of 10,000 words for an upcoming anthology, for which I will be paid. The story must be complete by March 16th. So I'm going to be splitting my creative energies between painting and writing this winter. I think I'm going to have a real good time with all of this. Thank you, Michael! I'm off to a good start, and once today's work finishes drying in the varnish box I'll be taking photos for the blog.